This is the podcast for encouragement, interviews, tips, strategies and lots of soul searching about what we’re doing in this community of bloggers with a focus on food and health and making a living online. Today’s episode features Jessica Gavin, a culinary scientist turned food blogger. Today I’m sharing with you my discussion with Jessica Gavin of the site by the same name about her food blog and her book Easy Culinary Science for Better Cooking. 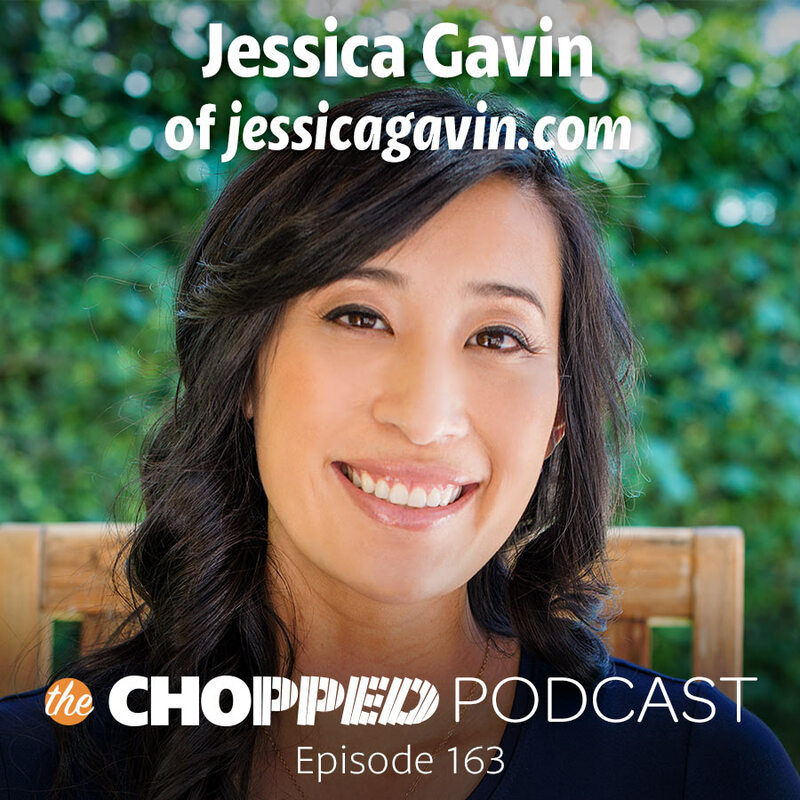 I just have to say how much I loved this discussion with Jessica, and yet I found myself thinking about the many ways my food journey was so different from hers. Because I love how Jessica shares about discovering a pastry shop as a teenager and how she loved it so much she decided to get a job there. Me? I took French class in high school and I purposefully skipped school on the days when they brought in food. Because the teacher loved to have celebration days where she would bring in French food and sometime she would even ask us to bring in dishes too. I wonder if she ever noticed that I skipped those days? I don’t know. But the thing is I was afraid of food. Afraid of my reaction to it. Because I wanted to be skinny and yet I seemed to have very little control when I was around food. Gah! I wish I could go back to those days and infuse myself with a dose of Jessica! Or maybe a dose of who I am today. Because I don’t have those same food issues today. There have been times in my life if there were Oreos in my house I would go into the kitchen and eat an entire sleeve of them. Seriously! Today, I peacefully co-exist with Oreos in my house. They have lost their allure! That’s a big accomplishment for me! Jessica knew her career would be involving food in some way or another. And she pursued her education and training in culinary science and more. And then one day she opened up a food blog. Jessica’s husband actually was the one who encouraged her to start a food blog. It seems like Jessica was a little hesitant about the idea, but she eventually agreed it was the way to go. Of course, the next question is how to manage a food blog with a full-time job. So, we also talk about how that — how she manages blog, job, and family. And we talk about the importance of owning your subject. Food blogging has become a competitive industry so finding your area of emphasis and becoming a go-to expert can go a long way towards distinguishing yourself from the field. This is such great advice! And one of my favorite topics, we talk about investing in yourself as the leader of your business. Jessica talks about taking courses to help improve certain skills with her food blogging. She wanted to put off the course but her husband encouraged her do it sooner rather than later. I thought this was such great advice. Invest in yourself early and the dividends will continue to pay off over the years to come! I love this conversation with Jessica and I think you will too!